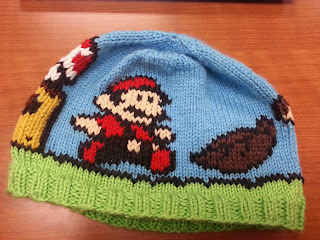 Leah's Knits: Mario Transformation Hat wee! 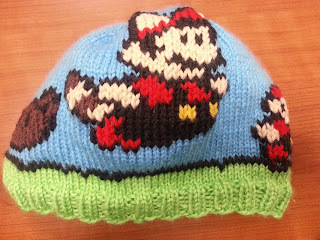 I used this pattern to create the hat. The first attempt ran quite large - it was even big for my boyfriend, and he has a big head. My knitting gauge is average, sometimes perhaps running on the tight side. 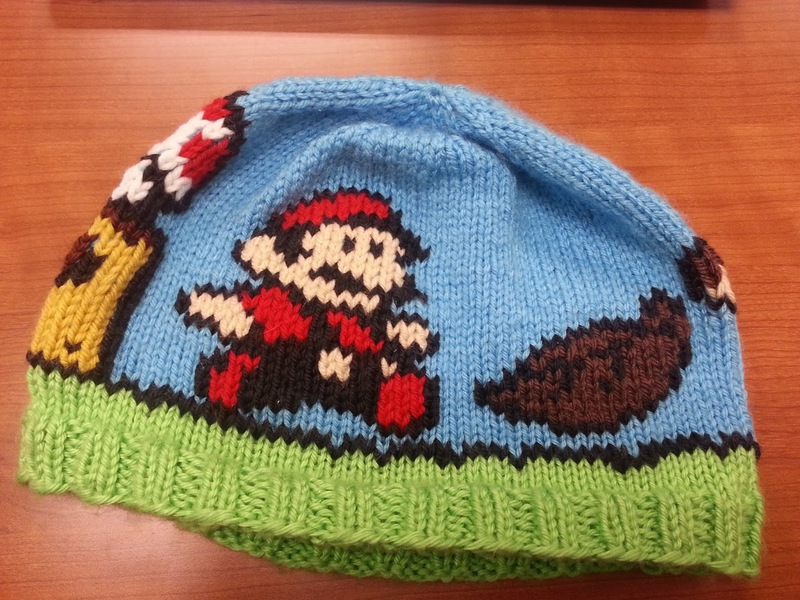 Other people who have made this hat have made the same observations. So. I love it, and have gotten a lot of compliments on it! It's a little big for me even now - if I made it again I would size down even more for the ribbing (I ALWAYS forget that I should do that!!). I already have a fantastic idea for a new hat. 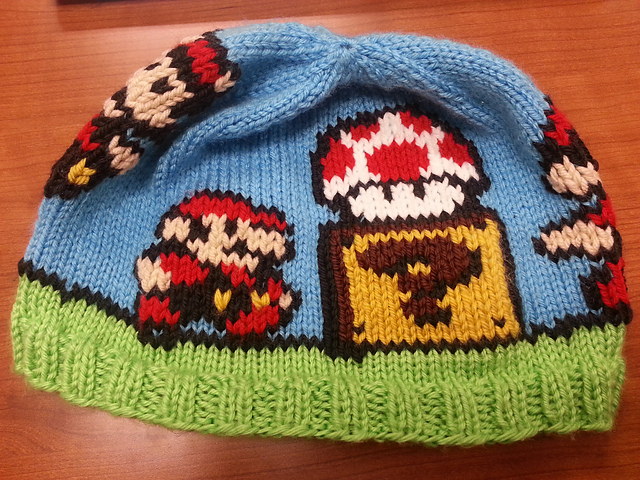 This one is stretchy and can fit anyone's head. I'll probably make it a gift and make myself a new one! !